Employers with 20 or more employees are generally required to offer continuing health care coverage to departing staff members. This is commonly referred to as “COBRA” after the legislation that made it law: the Consolidated Omnibus Budget Reconciliation Act of 1985. Employers may charge a premium for COBRA coverage, but they must step carefully when doing so. 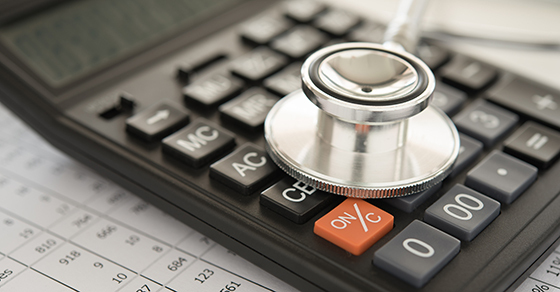 A recent IRS information letter addressed one employer’s calculation of the COBRA premium it charged a terminated employee for continuing coverage under a Health Reimbursement Arrangement (HRA). Because HRAs are an increasingly popular benefits option, the letter provides some notable insights into handling premiums — and what may trigger an IRS audit. The employee in question disputed the premium amount and asked the IRS (through his congressional representative) to audit the employer’s COBRA practices to determine whether it was charging excessive premiums for the coverage. The employee further maintained that the employer had failed to notify him of an increase in the premium or about its open enrollment process. • The COBRA premium for an HRA is determined under existing COBRA rules. The letter further explains that, under those rules, the plan administrator may calculate the premium for a self-insured plan (such as an HRA) based on either an actuarial determination or on past costs to the plan. The IRS was unable to determine, according to the letter, whether this employer’s charge for HRA premiums exceeded the amount determined under either method, or whether the employer was operating in good faith compliance with a reasonable interpretation of COBRA. The agency recommends in the letter that employees use Form 3949-A to report suspected tax law violations to the IRS, while concerns about an employer’s compliance with COBRA’s notice and disclosure requirements should be directed to the Department of Labor. What makes this a greater challenge for employers is that, beyond this IRS information letter, little to no guidance exists regarding how to determine the COBRA applicable premium for an HRA. The IRS hinted that such guidance might be forthcoming when it issued Notice 2015-16 regarding the delay of the Affordable Care Act’s “Cadillac tax,” but nothing has been issued as of this writing. We can help you tackle this issue and keep you updated on further developments.